Handmade nautical theme boy birthday party crown. 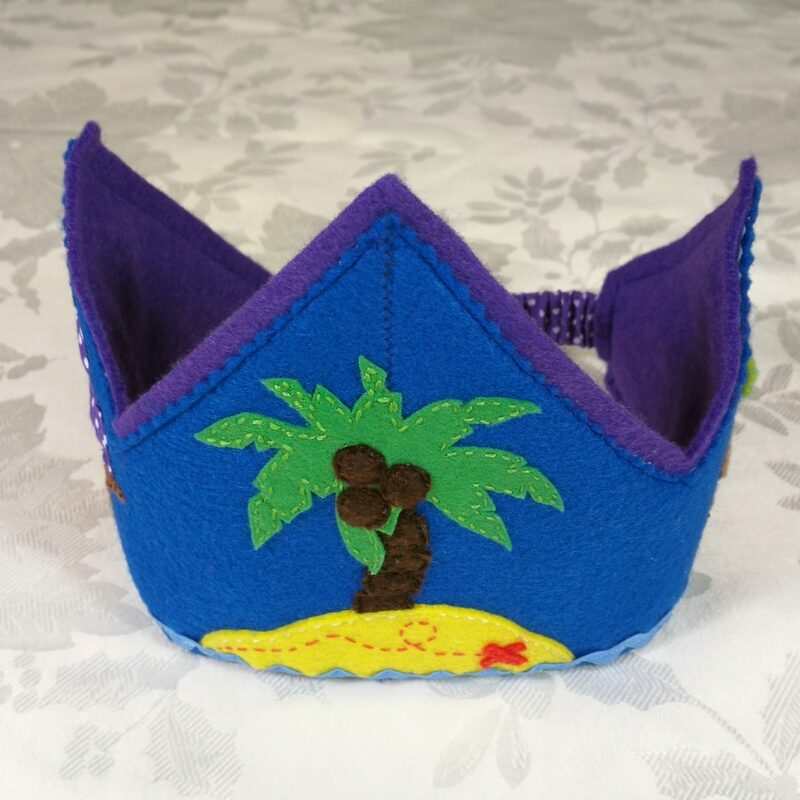 This little sailor crown is made from bright blue felt and features a palm tree, a parrot sitting on a treasure chest, a ship in full sail. This crown can be personalized with a number representing the age. The crown has an elastic band at the back that secures the crown on the head.